With 2015 coming to close and the new year quickly approaching, it amazing to think about how the food industry has grown and become such an important part of our culture. With so many amazing flavors, cooking techniques and food trends, it’s hard to even imagine what’s to come in the new year. 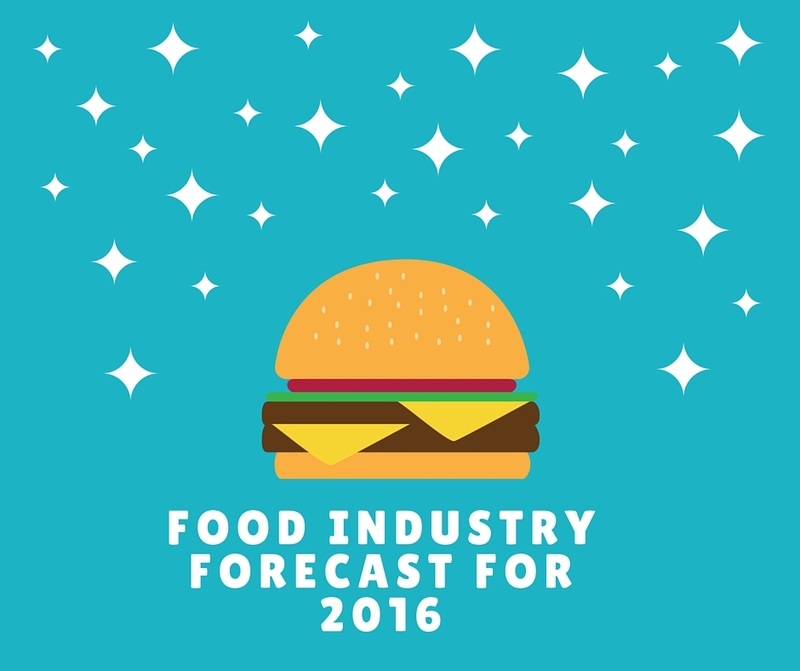 But here are some of the food and restaurant industry trends we plan to see in 2016. Look forward to more fast-casual restaurants popping up in your neighborhood in 2016. It’s evident that more people are looking to get amazing food quickly and for a reasonable price, and major food industry moguls like David Chang (of Fuku) and Danny Meyer (of Shake Shack) are making it big by giving foodies what they want. Expect to see fewer fine dining restaurants and more casual restaurants in the new year. Grocery delivery services like Fresh Direct and Delivery.com have grown in popularity in big cities like New York, but now markets across the country are picking up on the trend. If you’re short or time or unable to shop at your local grocery store, you’ll now be able to order groceries online and have them dropped off at your door. This is one food trend we’re all looking forward to in 2016. Recipes with big, beautiful pictures will become the norm in 2016. Individuals are attracted to and more interested in reading food writing that has visually stunning images, rather than a more wordy article (thanks social media). Look forward to seeing more image-driven blogs and websites as the year progresses. Whether it’s a suckling pig or round fish, butchery is an art in the food industry. In the next year, expect to see a growing interest in butchery from seasoned professionals to avid home cooks. Cutting edge butchery shops and butchery classes will educate individuals on the art of butchery in 2016. Tipping in restaurants is one of the most controversial trends of this year and will continue to grow and be discussed in the coming year. While this has really only gone into effect in a few NYC restaurants, it is projected that more chefs and restaurants will jump on this trend as the year continues. Thank you for reading Coffee, Cabs and Bar Tabs, and here’s to an amazing and productive new year! Cheers to 2016!